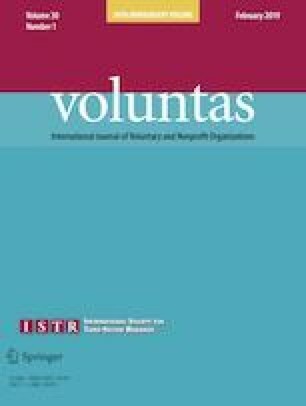 The literature on international volunteer motivation has highlighted mainly Western cases, while almost ignoring Asian volunteers. Through an analysis of the motivations of Japan Overseas Cooperation Volunteers (JOCVs), this study aims to identify who they are and to contribute to our understanding of individual behavior in relation to international volunteering. This is the first quantitative study of their motivation, and we surveyed them using a series of questionnaires. 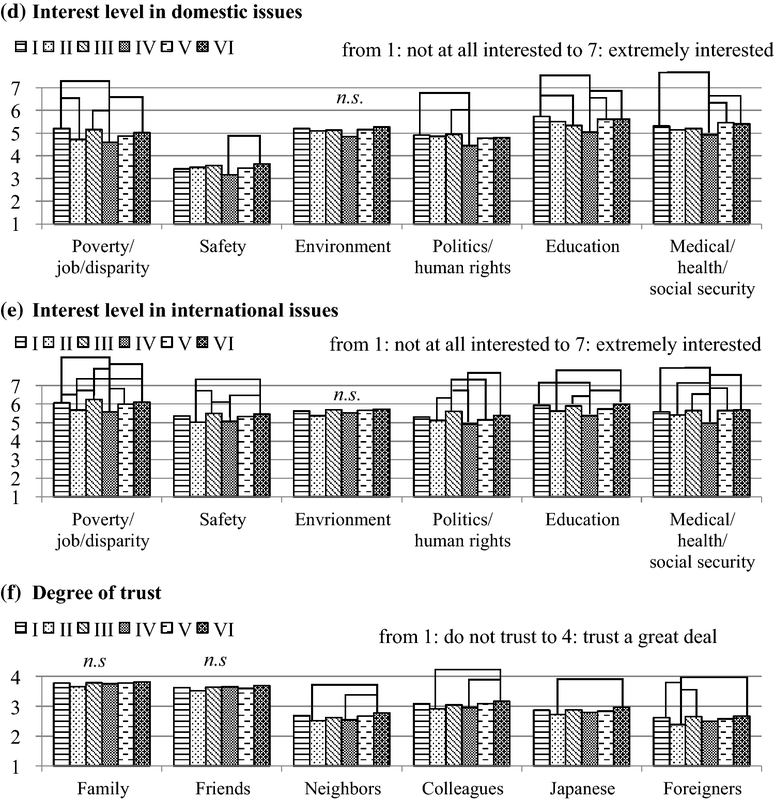 We obtained 1507 responses from the volunteers, and a cluster analysis of the revealed motives categorized them into six types, labeled as: (I) curious; (II) business-minded; (III) development assistance; (IV) quest for oneself; (V) change-oriented; and (VI) altruist. The results show that each of these groups tends to have a different set of motives, and these can be characterized according to their socio-demographic and behavioral information. The results confirm that JOCVs have the same altruistic and egoistic motivations that have been observed in the Western studies. From a practical perspective, our six clusters of volunteers match the three purposes of the JOCV program, and show that, to a certain extent, the program has been successful in recruiting young Japanese people. Moreover, the classifications will be helpful when the JOCV Secretariat managers wish to target specific types of volunteers for special recruiting and training. The authors thank Akiko Aikawa, Yuka Ebihara, Kana Fuse, Akiko Minowa, Tsutomu Nemoto, Mayuko Onuki, Eriko Sakamaki, Mine Sato, Shinobu Shimokoshi, Chikako Suzuki, Keiichi Tsunekawa, Mika Ueyama, Yuji Utsumi, Koji Yamada, Toshie Yamashita, and two anonymous reviewers for their great help with the series of questionnaire surveys and their valuable comments. The usual disclaimers apply. Funding was provided by Japan International Cooperation Agency Research Institute. In this Appendix, an analysis of variance (ANOVA) table (i), and the results of Tukey–Kramer multiple comparisons (ii) are provided for variables (a)–(h). 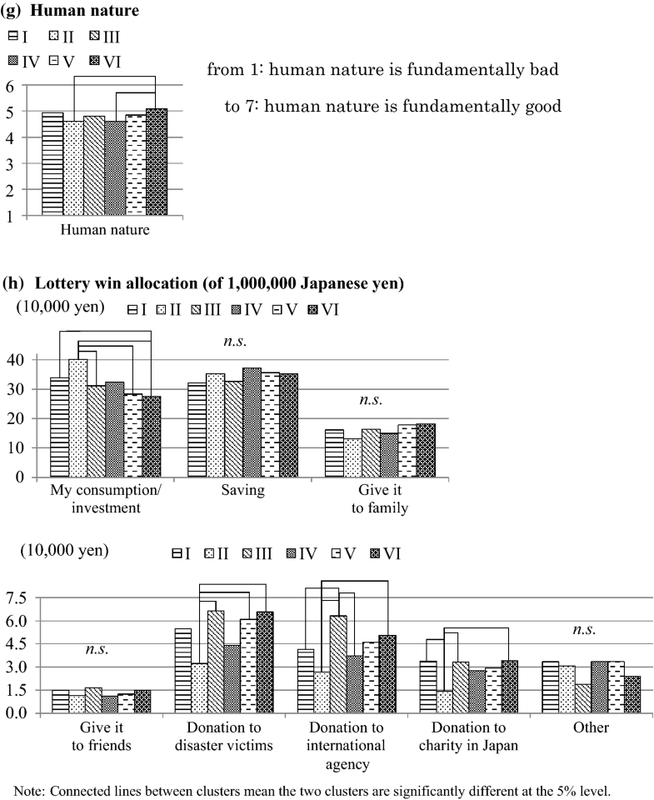 The results of the Tukey–Kramer multiple comparisons are illustrated as connected lines between the clusters that are significantly different at the five percent level. Japan International Cooperation Agency (JICA). (2015). Japan Overseas Cooperation Volunteers (JOCVs). http://www.jica.go.jp/english/our_work/types_of_assistance/citizen/volunteers.html. Ministry of Foreign Affairs of Japan (MOFA). (2015). Dispatch of Japan Overseas Cooperation Volunteers, a guide to Japan’s aid. http://www.mofa.go.jp/policy/oda/guide/1998/2-6.html.